Chancellor House, where Nelson Mandela and Oliver Tambo had their Johannesburg law firm in the 1950s, is to be completely restored and become home to a new legal museum and resource centre, taking its rightful place as an iconic site of the struggle for human rights in South Africa. Tambo, in the introduction to Ruth First’s No Easy Walk to Freedom, described the downtown Johannesburg structure as “a shabby building”, and one of the few in the city that could be rented by black people. Designed by architect Frank Jarett and built around 1948, Chancellor House is soon to shake off its shabby reputation. The City has just expropriated the building, offering the owners R350 000 for the derelict structure. Work on the building begins this month, says Yanda Tolobisa, the Johannesburg Development Agency’s project manager for Chancellor House, and is expected to be complete by June 2011. “The turnaround of Chancellor House is a great achievement, both for reclaiming heritage and for urban renewal in central Johannesburg,” says Eric Itzkin, the deputy director for immovable heritage in the City’s arts, culture and heritage department. Located on the corner of Fox and Gerard Sekoto streets in Johannesburg’s CBD, Chancellor House was home to the law offices of Mandela and Tambo in the 1950s. They had two small rooms on the second floor, with the words “Mandela & Tambo Attorneys” sandblasted on the window. “Africans were desperate for legal help,” Luli Callinicos writes in The World that Made Mandela. Callinicos interviewed communist party leader Chris Hani two weeks before he was assassinated in 1993. He said: “We admired [Mandela and Tambo] because we saw in them a different type of intelligentsia; an intelligentsia which is selfless, which was not just concerned about making money, creating a comfortable situation for themselves, but an intelligensia which had lots of time for the struggle of the oppressed people of South Africa; how they used their legal knowledge to alleviate the judicial persecution of the blacks. Mandela and Tambo’s office ran for eight years, from 1952 to 1960. Both were arrested in 1956 and tried for treason. The Treason Trial ran for four years before the charge was dismissed against the remaining trialists in 1961. During the trial their legal obligations were curtailed, and other partners joined the firm: Duma Nokwe, Ruth Mompati, Mendi Msimang, Godfrey Pitje, among others. “And I must say my life was shaped by the outlook of people like comrades Tambo, Mandela, Duma Nokwe and others,” Hani said. The building has belonged to the Essa family from Polokwane in Limpopo, since 1943; they have been refusing offers to buy the historic building for many years. Lucy Taylor, a Chancellor House activist since 1996, has been trying to get the family to sell the building. Over the past 14 years she has written dozens of letters soliciting support for what she calls the “Living Legal Museum”, a proposal to turn the building into a museum commemorating the two famous tenants, a coffee shop, a law library, and a legal resource centre for disadvantaged law students. In a letter from the Essa family lawyers, Ismail Ayob, indicates that the Essa family did not consider the building to be a historical monument. In 1997, it was to be demolished to make way for a parking garage. It was declared a provisional national monument in 1999. Taylor got letters of support for her proposal from a wide range of people: advocate George Bizos; judges Albie Sachs, Joel Joffe and Richard Goldstone; businesswoman Irene Menell; the late Adelaide Tambo and her son Dali; and long-time friend of Mandela, Ahmed Kathrada. Taylor tried to raise funds to buy the property. In August 1998, Abdool Essa wrote to the National Monuments Council, saying he would be prepared to sell the building for R925 000. But this never happened, and the building became more and more shabby and uninhabitable, despite the fact there were about 100 squatters living in it until recently. The building has finally been cleared – the squatters were relocated to several shelters in the city – and the family offered R350 000 for the structure, a price that was reached after the building was professionally evaluated. Ironically, in 1997, the building was evaluated for the same amount. 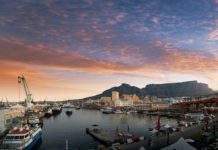 It is estimated that the refurbishment will cost R10-million. HMJ Prins Architect and UrbanWorks Architecture + Urbanism were asked to compile a heritage and conceptual design report on Chancellor House. 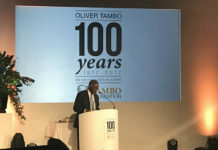 “The objective therefore results in finding a way to appropriately commemorate Nelson Mandela and Oliver Tambo relative to their relationship to Chancellor House,” says the report. The building is in Ferreirasdorp, historically an Indian area going back some 100 years that managed to resist apartheid attempts to remove tenants and owners. 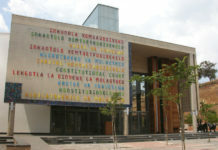 The area around Chancellor House contains several significant civic buildings: the Magistrates’ Court, the Family Court, a Home Affairs branch, and the Johannesburg Central Police Station. Chancellor House is across the road from the Magistrates’ Court, where Mandela, Tambo and their partners represented their clients. In 1952, Mandela was brought before the same court and charged and sentenced under the Suppression of Communism Act. The report outlines the significant surrounding buildings. One block away is Kholvad House, a block of flats. Mandela often visited his friend Ahmed Kathrada at number 13, and when his office closed in 1960, he moved his law rooms to this flat. “Although my practice had dissolved, my reputation as a lawyer was undimmed. Soon, the lounge of No 13 and the passage outside were crammed with clients. Kathy would return home and discover that the only room in which he could be alone was his kitchen,” Mandela recounts in Long Walk to Freedom. Mandela socialised with other Indian families in Ferreirasdorp. The Pahad family welcomed him, Tambo and Walter Sisulu to their home, where they often had meals. Struggle icons Yusuf Dadoo and the Cachalia family also lived in the suburb, and Mandela often held clandestine meetings in the flat of IC Meer, says Callinicos. Further west in West Street, was Sitha Investments, Sisulu’s estate agency. 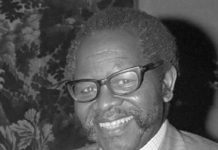 Sisulu had a huge influence on the ANC intellectuals, having been a trade unionist and entrepreneur, with a “maturity and wisdom beyond his years”. “Sisulu’s office became a formative meeting place in the lives of dozens of young intellectuals and activists, including Mandela,” Callinicos says. Several blocks north of Chancellor House is Chinatown, where the Chinese Club is the oldest building in the precinct. 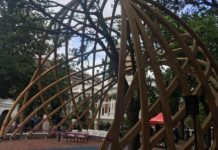 Recently, the Johannesburg Development Agency revamped Chinatown, installing concrete benches and new paving, and planting trees. Two gateways are soon to appear, demarcating this precinct which dates back over a hundred years. And barely another block or two away was Kapitan’s, the Indian curry restaurant that remained multiracial throughout the nine decades of its existence. Mandela regularly ate a plate of curry there, and often took Winnie Madikizela-Mandela to the restaurant when they were courting. Sadly, the restaurant has closed following the death of both owners – Madanjit Ranchod and his wife Marge. Chancellor House has been occupied by squatters since 2000, and it was damaged by a fire several years ago. Most of the interior walls are black from fire damage, and there may be damage to some of the supporting walls. The external face brick is in good condition, but the canopy and its support structures need to be replaced. There will be minimal demolitions, says the JDA’s Tolobisa. The basic structure – the facade, the height of the building and the canopy overhanging the pavement – will be restored. Plans include the possible demolition of the old ablution block and staircase on Fox Street, to make way for the creation of a small inner courtyard and garden. A permanent photographic exhibition is planned for the rooms from which they consulted, on the second floor. The ground floor will contain a gallery with an exhibition. The old offices on the first and second floors will be restored. 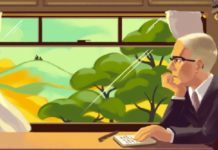 “New displays showcased in windows facing out onto the street, promise to be ground-breaking and visually exciting, with archival images and documents, many of them only recently uncovered and never before seen in public,” says Itzkin. “I am fully supportive of the project. I would like to see it not merely a historical monument but used by our young people as a library and training centre for candidate attorneys,” Mandela wrote in a 1998 letter.